Things You Can Learn From Nikon’s Holiday Flyer. At one time, Nikon was really aggressive about coop advertising with dealers. In most markets there were weekly flyers for all three year-end months and many more during the rest of the year. Article on dslrbodies.com. What You Should Buy. Before picking a few winners, let me say this: pretty much any digital camera launched in the last year is way above the “good enough” bar for most people. Article on dslrbodies.com. Why Announce a Camera You Can’t Get? A common question last week was “why did Sony announce the A7II only in Japan?” Article on sansmirror.com. Sony A7s Review. The A7s is the third model in the A7 lineup, and as with the two previous models, the primary difference revolves around in the sensor. Article on sansmirror.com. What Nikon Has Done Right. I get criticized by some on the Internet about my critical comments towards Nikon. Often, those making such complaints don’t see the trees for the forest and overlook the things I do praise, so I thought today I’d take the time to point out some of the things that I believe that Nikon has done right. Article on dslrbodies.com. Nikon Is Generation Image. The NY Times today broke a story on Nikon’s new marketing campaign in the US, targeted at millennial consumers through mostly millennial-consumed media (e.g. Facebook, Twitter, YouTube, etc. ), and called I Am Generation Image. Article on dslrbodies.com. Fujifilm Updates. Fujifilm made multiple announcements today associated with their mirrorless product line. Article on sansmirror.com. Sony Updates the A7 Camera. Sony today announced the Mark II version of the A7 camera. Article on sansmirror.com. Data page for the new camera. Panasonic GH4, Olympus E-M1 Firmware Updates. Article on sansmirror.com. Another Type of User: Samplers. Samplers are folk with enough disposable income to indulge themselves. If some new product intrigues them or seems to cater to what they desire, they buy it to augment their current gear (i.e. Canon or Nikon DSLR, generally). Article on dslrbodies.com. November Software Updates. AfterShot Pro 2, Pixelmator 3.3, Lightroom 5.7, ACR and DNG Converter 8.7. Article on dslrbodies.com. It’s discount-oriented Tuesday at bythom, apparently. Get used to it. We’re coming into the weeks where we’re going to see a lot of discussion of price drops. I won’t report everything, but I do try to cover significant changes you should be aware of. Given the yen depreciation against the dollar, the Japanese camera companies have a lot of room to discount product this year (in Europe, as well). Nikon Lens Rebates Return. As usual, I’ve posted my opinions of which lens rebates Nikon is offering that you should really pay attention to. Unfortunately, you need to buy a body to get these discounts. Article on dslrbodies.com. Olympus Discounts. The E-M5 has been discontinued and goes on deep sale. Couple that with Olympus’ lens rebates and you can put together a very nice mirrorless package cheaply. Article on sansmirror.com. In keeping with today’s articles discount focus, I’ve updated the DSLR price chart. The only drop so far has been a 6% discount on the D610. Nikon Df is Golden. In Japan today Nikon announced a Special Edition of the Nikon Df camera: the Gold Edition. Article on dslrbodies.com. Olympus Announces Firmware Updates. Olympus today released firmware updates for most of their m4/3 bodies. Article on sansmirror.com. 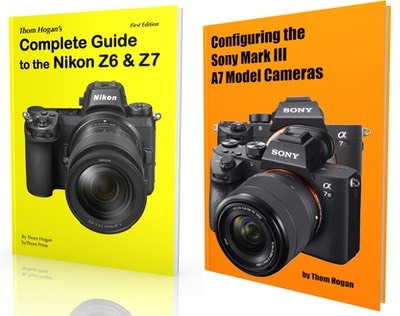 Sony A7 versus Nikon D750 and A7r versus D810. I just spent some time in Utah and California with Sony/Nikon body pairs. As you might expect, I have a few words to say about that ;~). Article on dslrbodies.com. What We Wanted versus What Nikon Gave Us. We’re pretty deep into the D4 generation now. At this point, one can make some conclusions about where Nikon drove that generation of cameras versus previous generations. Article on dslrbodies.com. Nikon 2nd Quarter Financials. Nikon announced their financial results for the first half of the current fiscal year on Thursday. Article on dslrbodies.com. Do You Believe in DxOMark? Every new camera introduction causes one portion of the buying population to wait…for the DxOMark results. Article on dslrbodies.com.